Do Our Politicians Lose Their Memory On Election Day? R.J. Rushdoony: 00:02 Do politicians lose their memory on Election Day? This is R.J. Rushdoony with a report on our threatened freedom. R.J. Rushdoony: 00:11 On February 2, 1970 in London, England, Ronald Reagan made a very astute observation. I quote, “In my country some 25 years ago, you could make a long-distance call on a privately-owned telephone system from San Francisco to New York for $28. For that same amount of money, you could send 1,376 letters. Today, you can make the same telephone call for two and a half hours and, for that amount, you can send only 41 letters, so the government is investigating the Bell system.” This was an excellent statement like so many others Reagan made before being elected. R.J. Rushdoony: 01:00 The same can be said for the pre-election speeches of Carter, Ford, Nixon, and others before them. It was, after all, on March 2, 1930 that candidate Franklin Delano Roosevelt said, and I quote, “Now to bring about government by oligarchy masquerading as democracy, it is fundamentally essential that practically all authority and control be centralized in our national government.” Roosevelt criticized Hoover for creating a large bureaucracy and then proceeded to create one so great that Hoover’s looked like a hick outfit by comparison. R.J. Rushdoony: 01:42 Mr. Reagan made many promises before his election. Whether you agree with those campaign pledges or not, the fact is he made them to the pro-life people, to the air controllers’ union, and to others, for example. Like his predecessors, Reagan has acted as though there need be no relationship between what he said then and what he does now. This is no trifling matter. We are witnessing a growing distrust of politicians because people are finding that representative government is no longer representative. R.J. Rushdoony: 02:21 What candidates tell us before election has too little to do with their behavior after election. Granted, there are exceptions to this, but for the most part, politicians either lose their memory on Election Day or else they seem to feel that we, the people, apparently do not mind being sold out again and again. Crime on the streets is bad, very bad for society, but I submit that the failure of politicians to keep their word is even worse. It breaks down confidence in the form of civil government, and it leads to a growing contempt for those agencies of law and justice which need respect and support to survive. R.J. Rushdoony: 03:11 Before his election, Mr. Reagan correctly called attention to the difference between telephone rates and postal rates over a 25-year period. In his first year in office, 1981, the postage rate on first-class mail was raised three times, and we heard no comment from the White House. What bothered candidate Reagan did not bother President Reagan, nor did the fact that rates have gone up while mail service has gone downhill lead to any public statement or action on his part. More than a few people are bothered by this and with good reason, but what troubles me most of all is the fact that plain statements and promises before Election Day have all too little a relationship to what is done thereafter. The result of all this is a growing disrespect for politicians and the political process, and this is a threat to our future. 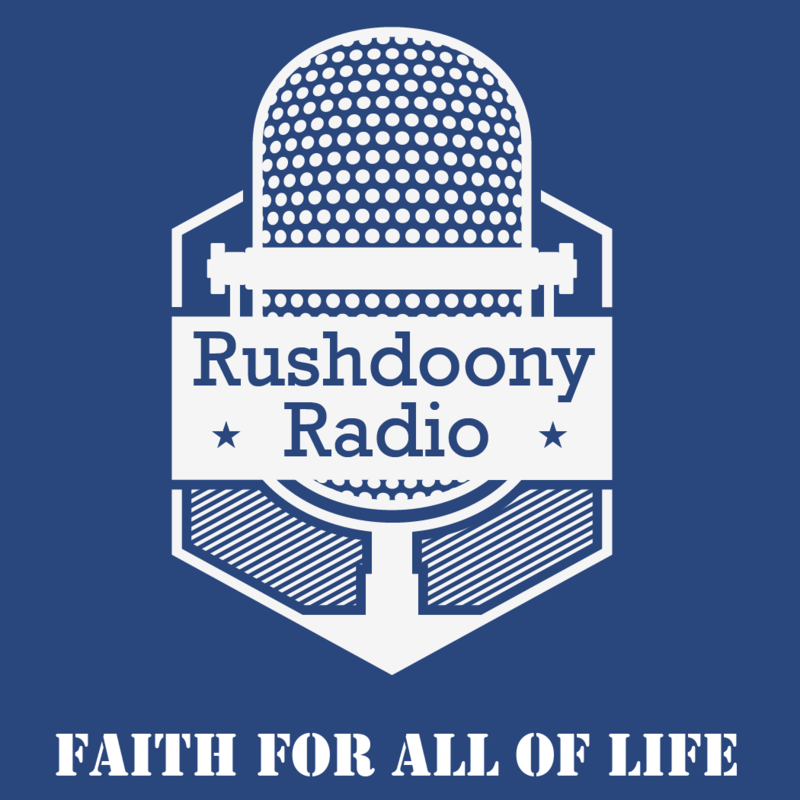 R.J. Rushdoony: 04:16 This has been R.J. Rushdoony with a report on our threatened freedom.